Garden decking is exceptionally versatile; can be used to overcome issues that make landscaping difficult, to enhance the features of a garden, to add practicality or to extend a house into a garden. Garden decking can counteract uneven ground and sloping sites. Building on stilts and using steps and different levels will give the impression of uniformity and will make a garden much easier to navigate. There is a plethora of decking materials available and add-on features such as pergolas, balustrades and privacy screens. Adding a deck allows a whole host of flexible interesting design possibilities. Garden decking can easily be combined with other garden features like water features, statues, rock gardens and planting to achieve a garden centrepiece. 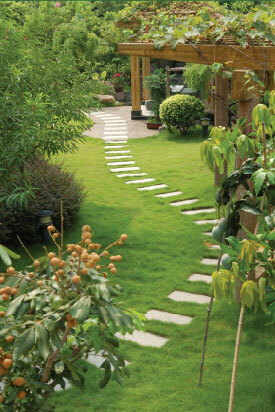 Garden decking is easier to handle than hard landscaping materials like paving and bricks. It is lighter too, which means it is good for raised areas and much easier to handle, especially if not experienced in any construction trade. Decking can be used for a wide variety of uses, the most popular of which is extending living space outdoors to create the illusion of a larger property. Decking provides a home with a socialising area and is perfect for properties on riverbanks or even for caravans. For a professional garden decking service in Essex and East London, contact D&G Garden World. Visit http://www.dggardenworld.co.uk, call in to 1B Sunnyside Gardens, Upminster, Essex or telephone 07852 666858.